It’s not many vacations that begin before you arrive. Whether trapped in traffic or facing the myriad frustrations of modern air travel, most vacations don’t start until you get there. 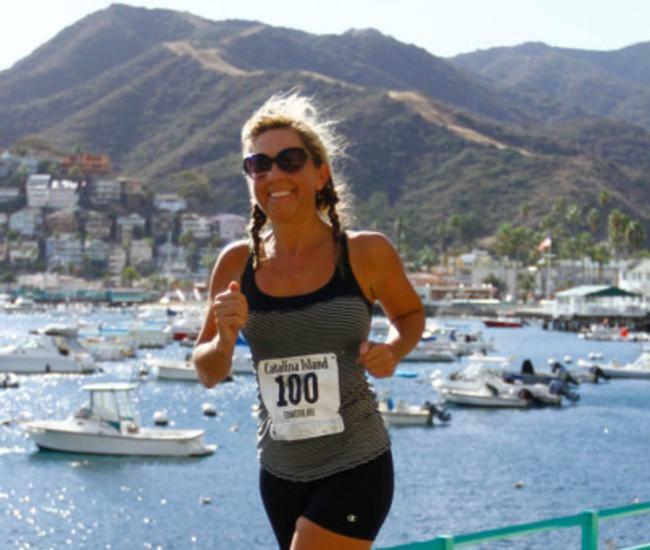 That’s not the case when it comes to getting to Catalina Island. 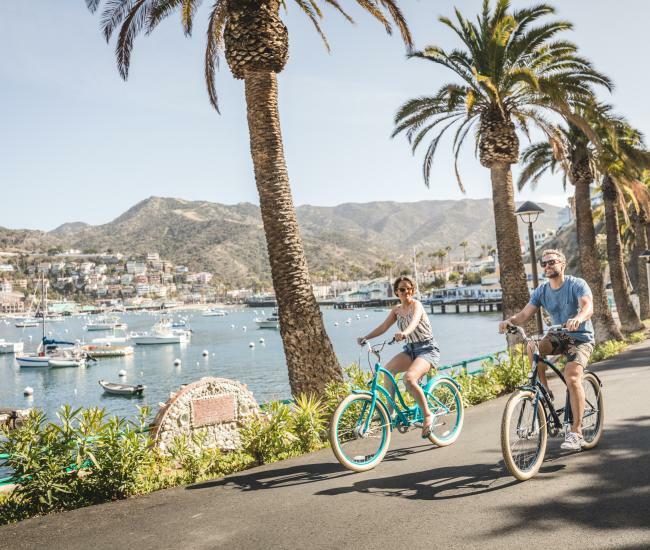 With welcoming ocean breezes, expansive views of the Pacific and the anticipation of the ultimate getaway, the journey to Catalina becomes a part of the destination. Catalina ferry boats, more formally referred to as cross channel carriers, depart from four ports -- two in Los Angeles County and two in Orange County. Catalina Express, which operates the most departures, offers sailings aboard its fleet of boats from San Pedro, Long Beach and Dana Point throughout the year. The Catalina Express ferry ride to Avalon from San Pedro and Long Beach takes a little over an hour. From Dana Point, the ferry to Catalina takes about an hour and a half. In San Pedro, Catalina Express’s terminal is located in the shadow of the Vincent Thomas bridge. From Long Beach, the company’s Catalina ferries depart from the Catalina Landing in downtown. The Catalina Express ferry from Dana Point operates from Dana Wharf Sportfishing in the Dana Point Harbor. In addition to Avalon, Catalina Express also offers ferry service to Catalina Island’s Two Harbors, on the West End. Catalina Passenger Service operates the Newport Flyer from Newport Beach daily through most of the year. Departing from Balboa Island, the Flyer’s journey to Avalon takes about an hour and half. The Newport Flyer returns to the mainland in the late afternoon. No matter which company or departure port they choose, Catalina ferry passengers enjoy food and drink service, including cocktails. Dolphins or whales are frequently seen between Catalina Island and the mainland; watching for the marine mammals is a popular pastime onboard. Depending on the weather, Catalina Island quickly emerges from the horizon, promising an escape of relaxation and adventure. With several daily flights to Catalina Island, IEX Helicopters offers to whisk you to the island in just about 15 minutes. On-demand passenger service is available from San Pedro and Long Beach several times a day and the company also offers charter service from several Southern California airports. The Pebbly Beach Heliport, located just to the southeast of Avalon, is accessible via taxi. IEX Helicopters also offers charter service to Two Harbors. Private pilots have another option for flights to Catalina Island. The Airport in the Sky, located in the interior of the island, welcomes pilots with a café, hiking trails and nature center. Transportation from the airport to Avalon and Two Harbors is available. Catalina Island is Southern California’s most popular destination for private boats. Vessels of all sizes – from small runabouts to mega-yachts -- depart from a variety of mainland marinas throughout the year, destined for a relaxing stay on Catalina. Moorings, which can also be purchased, are available on a first-come, first-served basis in Avalon and Two Harbors as well as in a number of bays and coves along the Catalina coastline. Other vessels choose to anchor just offshore. 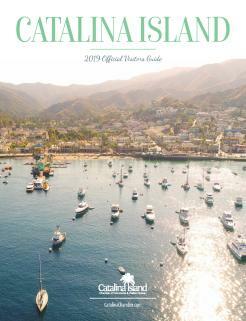 For many Catalina visitors, the island is just part of their vacation. Santa Catalina is a popular port of call for cruise ships. Two Carnival itineraries include Catalina as a regular port stop, with ships stopping in two days a week. Several other cruise lines make a stop at Catalina Island during special ship transitioning cruises. 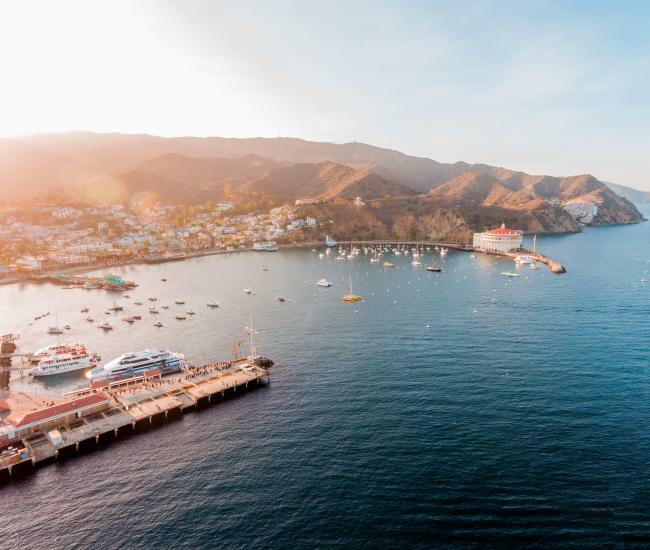 No matter how you choose to get to Catalina, this island paradise will welcome you with irresistible activities, spectacular scenery and an ambiance replete with charm and relaxation.